Ahhhh fall is here. There is still so much to do on a farm! I can't wait for our winter's rest. But in the mean time we have vegetables to harvest before winter, vegetables to bed down to over-winter, and vegetables to protect so they can still be harvested in the winter. Shwhooooo, you feel more busy than during the spring! But the heat has finally broken and I crave comfort food again. I'm not quite ready for the slow roasting and braising dishes yet but I need something creamy but with heat. Let's make a curry! There is nothing quite as nice on a cool day when you are tired and out of time. Not much prep needed with a curry and if you have a rice maker (a really good Japanese one is worth it's weight in gold), dinner will be on the table in a flash. I had some of the last of our Blue Lake Pole Beans to use, so I made Tofu and Green Bean Curry. 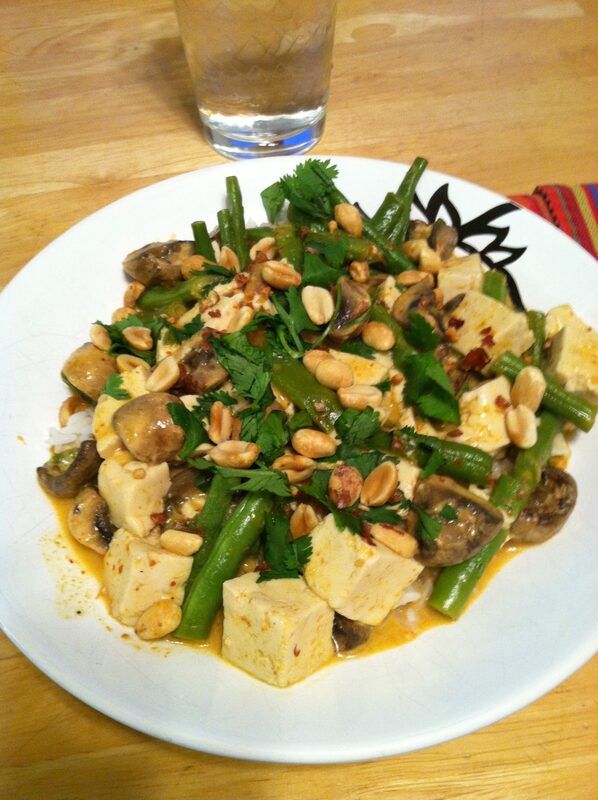 I based my recipe off of Tofu and Green Bean Red Curry out of The Ultimate Thai and Asian Cookbook by Deh-Ta Hsiung, Becky Johnson and Sallie Morris. This is a Thai recipe so you will want to get the canned curry paste as opposed to the Indian curry powders. (However, I have never let that stop me before.) I didn't have any red curry paste so I used Panang which is milder. You could use green or Mussaman (our favorite) or whatever you would like. I also can't find red chilies (the Thai kind anyway) at the grocery nearest to me so I threw in a jalapeno. Again, not necessary, just depends on how hot you want it. I didn't think either of my little boys would be interested but the two-year old asked for some with the jasmine rice and I carefully gave him some without pepper slices and he ate some without complaint. 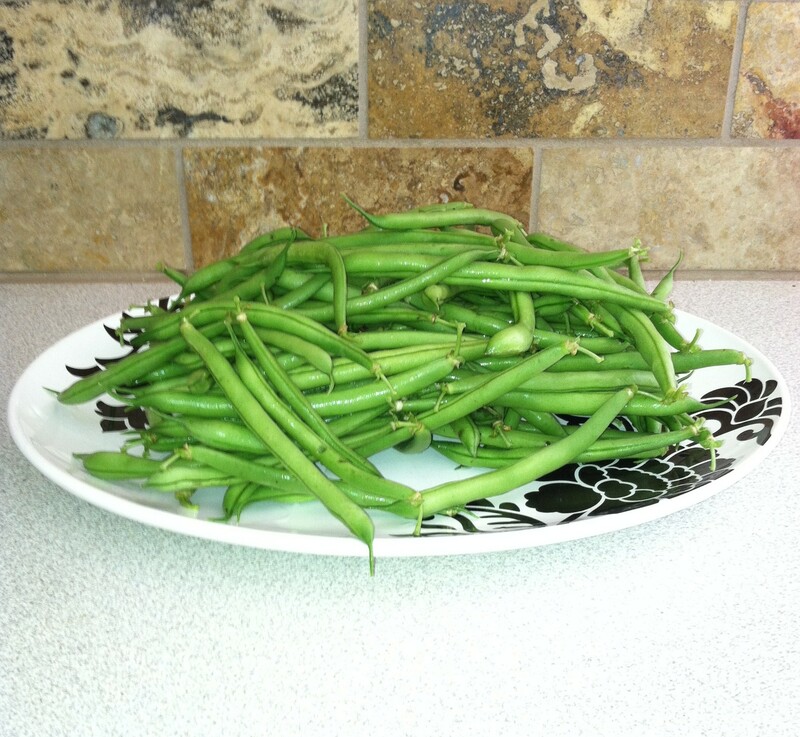 I also had about 3 cups of green beans that I needed to use, which triples the amount of the recipe. But lets eat our veggies shall we! 1. Pour about one-third of the coconut milk into a wok or pan. Cook until it starts to separate and an oily sheen appears on the surface. 2. Add the curry paste, fish sauce and sugar to the coconut milk. Mix thoroughly, then add the mushrooms. Stir and cook for 1 minute. 4. Stir in the kaffir lime leaves and sliced chillies. Spoon the curry into a serving dish, garnish with cilantro and peanuts if using. Serve immediately.